The postindustrial digital age and the emergence of the experience economy have fundamentally changed the requirements and the expectations how companies develop and deliver new services. Well-known brands like Airbnb, Mayo Clinic, Bank of America and HBO have all understood this shift and successfully utilized holistic design thinking approach to transform their business. They have created profitable business through sophisticated, emotionally satisfying and meaningful experiences to their customers. Design Thinking can be described as human-centered (designing “with” the users instead of “for” the users), exploratory and integrative innovation process that emphasizes observation, collaboration in interdisciplinary teams, fast learning, visualization of ideas, rapid prototyping, and concurrent business analysis. 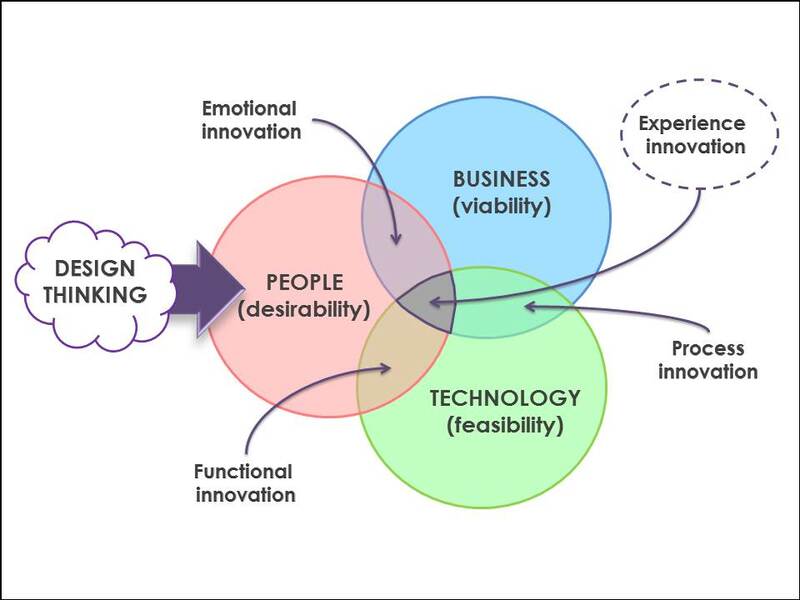 Design Thinking essentially is a way of thinking, applying designers’ sensibility and methods, leading to transformation, innovation of new products, services, business strategies and even new organizations.